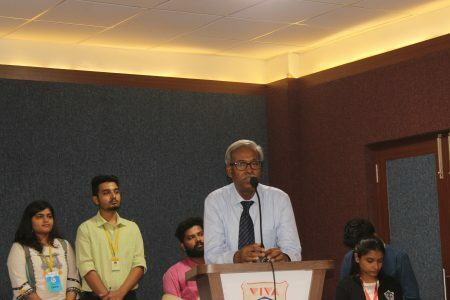 TechChase 2018 was held on the 30th and 31st of August, at VIVA Institute of Technology. 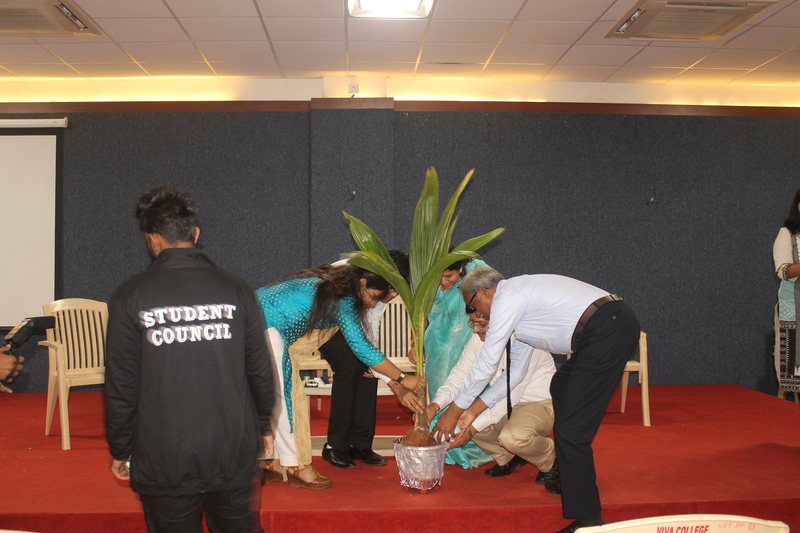 The inauguration ceremony started in the seminar hall with blessings from principal sir and other dignitaries. The TechChase montage made of a shadow from electronic components was revealed. An important environmental message to plant trees was conveyed by watering a sapling. With this, TechChase kicked off. 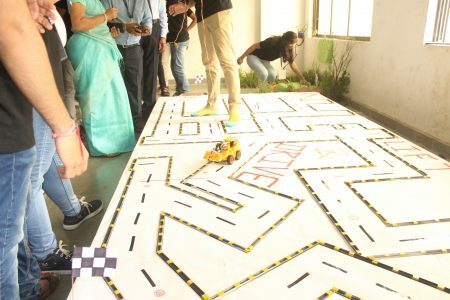 30 events across the five departments of engineering were organized. Registrations were online through Google Forms. 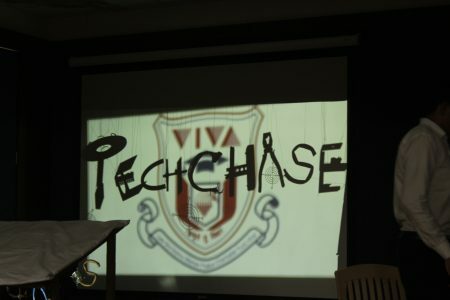 This years TechChase saw a higher footfall because of a great social media influence on the promotion of the event. Students showed good participation in the events across the five departments. The students applied their knowledge and textbook concepts in real life. Students, those organizing and those participating, were able to learn and enhance their knowledge in the field of technology. On the second day, dance, drama and music performances of the Youth Festival participants were shown. This team had a successful result at the University Youth Festival, and their success was celebrated by all. The winners of the 30 TechChase events were awarded with certificates. Overall, TechChase 2018 was full of amazing experiences and knowledge enhancing for all. Bridge O Mania, Decrypt.O, Robo Soccer, Robo Assembly, Pitstop, Bob The Builder, Mesh Compilation, Lift and Drive, Robo Maze, Gearbox Assembly, Power Tower, Brain Storming, Beware, Morse Code, Weld My Name, Float Your Boat, Quiz Mantra, Electric Hockey, Circuit Debugging, Cut It Off, Brain Storm, Technical Loqo Quiz, Mini Golf, Jerry Busted, Hydromaze, Poster Making, Bugs and Codes, Electric Gun, Inject the Bug, Find It Out.